Friends of Hamilton Launch new YouTube channel to consolidate video information. The raw video from Friends Of Hamilton Town Hall Meeting in Birchwood TN on March 13 is located in the following locations. Our Home Page, Facebook and the link blow. Friends of Hamilton thank our local resident and former Rep Bobby Wood for his interview on annexation vs incorporation. 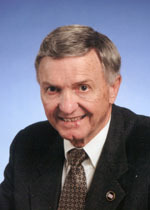 Rep Wood worked at the state level to change the laws to provide citizens a greater voice in annexation, but lobbing groups like the Tennessee Municipal League and metro cities in the state fought the effort at every step. OOLTEWAH, Tenn. (March 5)-Friends of Hamilton will hold a public meeting Tuesday, March 13 at 7 p.m. at Birchwood Elementary School, 5623 Highway 60 in Birchwood, to discuss its service plan for the new city of Hamilton. The meeting will give area residents an opportunity to review the plan, ask questions and provide feedback. Friends of Hamilton is a non-profit organization working to create the model city of Hamilton, which can better represent the views of local residents while offering limited infrastructure services. Our objective is to increase the quality of life, keep property taxes low and streamline government operations. Residents who wish to find out more about the plan prior to the meeting can visit FriendsOfHamilton.org. The service plan is listed under the “Petition” page.